It was like something out of Scooby Doo … if it wasn’t for those kids, a shark thief would have gotten away with it. And yesterday Brighton and Hove’s police chief publicly thanked the brother and sister who bravely confronted the man making off with a plastic shark’s head from Hove Lagoon. 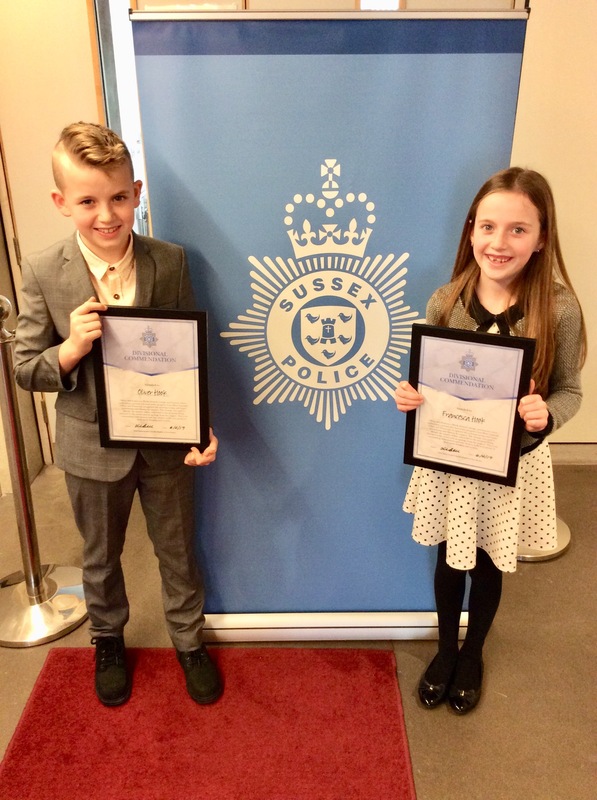 Chief Superintendent Lisa Bell handed commendation certificates to Oliver Hook, 11, and his sister Francesca, 9, from Portslade. She said: “Oliver and Francesca showed absolute courage and bravery when they confronted a man taking some property from Hove Lagoon – a shark’s head – not a usual thing to be stolen. 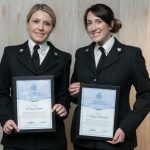 Chief Superintendent Bell, a former nanny and kids club rep with a holiday company before she became a police officer, told a room full of award-winning Sussex Police officers and detectives in a ceremony at the Brighton i360: “Eat your heart out, investigators! “It led to the property being returned to the owner, an apology from the suspect and a day out from school. “It is absolutely outstanding – not just because you are young but because there are lots of grown ups who would not have done what you did. The two youngsters – both pupils at the Bilingual Primary School in Hove – were joined by their parents Chris and Jo who said that they were proud of the pair. 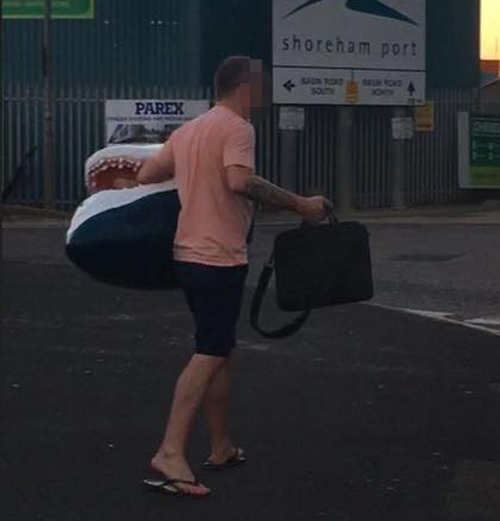 The shark was returned to Hove Lagoon where it is now padlocked in place. The man who took it told police that it was just a prank after the youngsters’ footage was widely shared on social media. Ward councillor Robert Nemeth, who helped found the Friends of Hove Lagoon, said: “I was so happy to nominate these young heroes with the full backing of Friends of Hove Lagoon colleagues because they put themselves in what could easily have been a dangerous situation in standing up for what was right.